I thought about this column more than two months ago and had to put the idea on the backburner, lest I be misconstrued as trying to upset the applecart. That was until Bongani Zungu set the cat among the pigeons when he went on a limb, claiming that Orlando Pirates assistant coach, Rhulani Mokwena, was the reason behind Bucs’ improved performances so far this season. Granted, at face value, Zungu has a right to express his views on his social media platforms, especially considering the great relationship the Amiens SC midfielder has with his former assistant coach at Mamelodi Sundowns. It is also common knowledge that the same can’t be said about Zungu and Pirates head coach, Milutin Sredojevic, as the two have never shared a professional space. Although Zungu’s tweet, which was subsequently deleted and followed by an apology, was distasteful, I was happy he said what almost everyone was whispering about. While Benni McCarthy was the only coach to put Zungu in his place and stood up for both his colleagues – Pitso Mosimane and Micho – yes, I said Micho and you’ll understand why if you carefully read Benni’s tweet, there are a lot more coaches who took serious offence to the tweet and no one knows what impact that offence will have in the long run. My point here is that Zungu said what has been peddled on social media and, to a certain extent, in the media as well. People have been doing all they can to elevate Mokwena at other people’s expense. Even the fallacy of there being co-coaches at Pirates shows so much disrespect when people clearly know that Sredojevic is the head coach, with Mokwena his assistant. Benni has Vasili Manousakis as his right-hand man at Cape Town City. When City were going through a rough patch and lost 4-1 to Kaizer Chiefs in their own backyard, it took the come-from-behind 2-2 draw away to Pirates to steady the ship. Benni was not on the bench on the night, due to family reasons, as Manousakis and the rest of the technical team mastered a plan to claw their way back into the game. The second half was a different story, but not much noise was made about that. Baroka FC’s assistant coach Matsemela Thoka masterminded Sundowns’ Telkom Knockout 2-0 elimination in the quarterfinals, but all the noise was about his obvious ambition to coach the club when his “time comes”. Imagine if the two scenarios happened at Pirates and the reaction that would follow? Catch my drift? 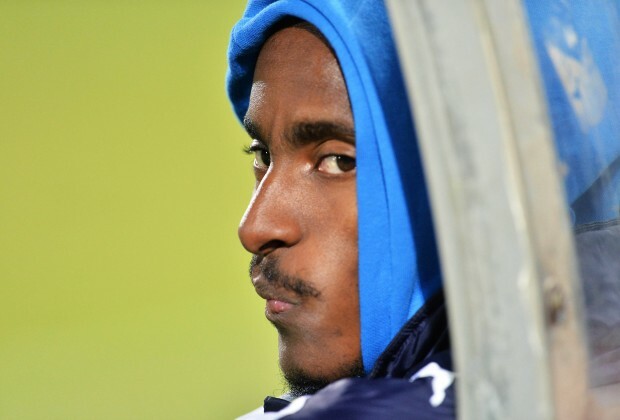 When Mokwena left Sundowns for Pirates, a lot was said about his move, but the most bizarre of it all was the claim that he, not together with Pitso Mosimane and Manqoba Mngqithi, was responsible for the team’s successful campaign that saw them win the CAF Champions League, CAF Super Cup and the League title, among others. The disrespect to Mosimane and Mngqithi who have been around the block and achieved more than the young master tactician! These are the coaches who, together with Steve Komphela and others, still need to continue mentoring the young Mokwena without being made to feel threatened and, more importantly, disrespected by his potential. Komphela and Mosimane gave Mokwena his coaching break and they deserve all the credit for that. Don’t turn them against Mokwena by trying too hard to elevate him. He still has a long way to go and no one can deny his quality, but don’t turn the same people Rhulani needs in his career against him. He better not read too much into this noise and remain focused on the job at hand and learning from those around him. He better be careful of people sowing divisions between him and his mentors. Be careful not to elevate the young man at the expense of others, I dare say it again! He is good enough to work his way through and his young coaching career and what he’s achieved so far is a true testament to that. Rhulani doesn’t need that! He is well on course to do even better than his mentors, with time, as Mosimane has been consistently saying. At the rate things are going, we are all unwittingly turning people against Rhulani. The outrageous noise is now also turning him against the football supporters who are slowly but surely getting annoyed every time disrespect is shown to their tried-and-tested favourite coaches in the process of elevating the young Mourinho. Mokwena is a very humble and ambitious bloke that doesn’t need this unnecessary attention. Tebogo Moloi is standing next to head coach, Julio Cesar Leal, and points to Thabo Matlaba to attack more because they need a goal. The head coach is giving the same Matlaba a different instruction, to be more conservative and stay at the back. The ‘confusion’ stole the show with little to nothing said about the context and the situation, let alone the fact that the ‘confusion’ caused by Moloi, who clearly made more sense to Matlaba, resulted in Bucs getting the much-needed goal. This caused a brouhaha with even the television pundits questioning Moloi’s ‘interference’, with no one caring to pay attention to the impact Moloi’s so-called interference had on the game as Matlaba’s forays led to a winning goal. Moloi was consistently accused of disrespecting and sabotaging head coaches at Pirates because he allegedly wanted their jobs when he became a vocal and passionate assistant coach. When the coin was flipped, Bucs took the lead and, just as Micho was about to introduce Thamsanqa Gabuza, Rhulani dismissed him and changed the substitution to bring on a defensive player to protect the lead. The video went viral and the same people who complained about Moloi’s ‘interference’ applauded Rhulani and even took it a step further by claiming that his actions proved the great working relationship he had with Micho and that “they’re on the same page”. Are you kidding me? Since that day, there’s a growing tendency of touchline exchanges between the head coach and his assistant, with the latter having his way more than the former, stealing the show and adding fuel to the aspersions cast against Micho. This further undermines the team’s head coach and taking advantage of the open-minded nature of the person and coach he is. It is only confident coaches who are not threatened by their assistants and mature enough to provide a platform to their juniors. They are not jealous and think of the bigger picture, grooming the next generation of coaches, and that doesn’t mean they’re clueless and should be disrespected. When coaches make their assistants ball-boys, we complain but when coaches give their assistants a role to play, we turn back to undermine the same people who are grooming them. Such double standards and unacceptable behaviour! Mosimane, just like Benni – against Pirates – doesn’t even communicate with Mnqithi when he’s not on the bench because of the respect and trust between them. When they win, they win together just as they do when they lose. Respect and maturity are highly needed in dealing with this and, once again, don’t elevate Rhulani at other coaches’ expense. That’s too detrimental to the game and Mokwena’s promising career. When Jose Mourinho wen to The Theatre of Dreams- Manchester United- board wanted Ryan Giggs to be his second in command but The Special one couldn't stand him. Mourinho couldn't work with someone who wanted his job. Giggs applied for the managerial post. He wanted to be the main man. Giggs was a threat to Mourinho because he sees himself as the right man to lead Manchester United. We can't turn a blind eye to the allegations made by Bongani Zungu on his twitter account about Rhulani Mokoena being the mastermind at Orlando Pirates. Mokoena has never made his intetions clear of being interested in coaching Pirates. But I have to take into account- the rift that- Zungu's tweet has caused. It is more like Mokoena is a better coach than Melutin Sredojevic. Micho can absorb that and remain professional and never retaliate but this tweet has signalled something bad. Mokoena's family has a rich history at Pirates and surely he wants to win something with the club too attached to his roots. With everything being said- Mokoena- won't be easy to work with in the future. Ciaches will see him as a power hungury predator gunning for their jobs.